Card issuance is changing faster than ever, driven by evolving consumer expectations, heightened security threats and sweeping changes in payment technology. Be uniquely prepared to move at the speed of change with the Datacard® MX8100™ card issuance system. Built on the MX DaSeries platform, the MX8100 system offers true field modularity to help future-proof your investment. 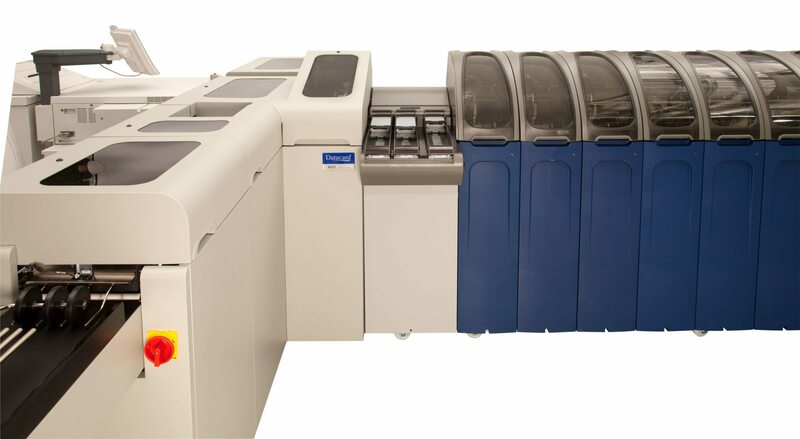 And with the fastest system built on this platform, you also get unrivaled real-world throughput – up to 3,000 cards per hour – to maximize your operation. 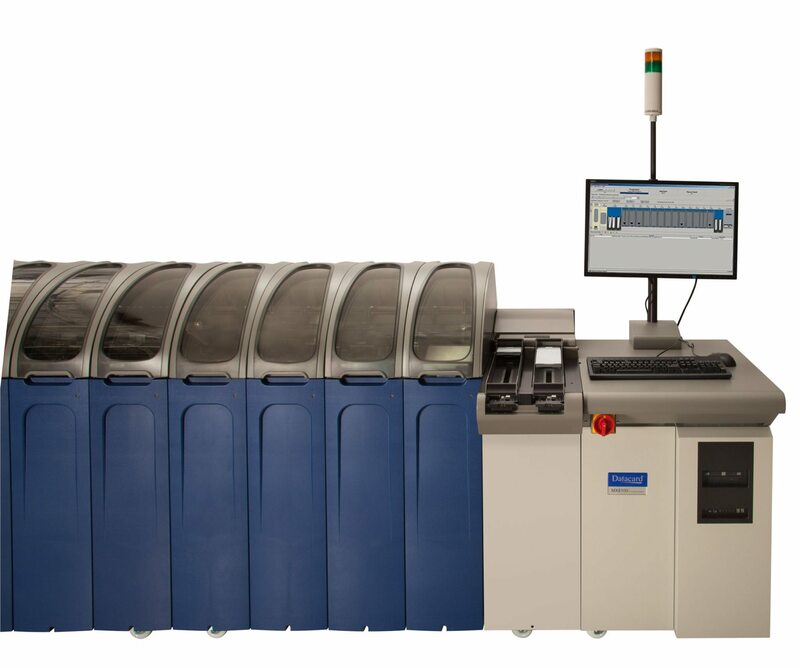 Combine the MX8100 with the Datacard® MXD810™ card delivery system and the Datacard® MXi810™ envelope insertion system for a complete and secure card-to-envelope solution.